Edward BURCHAM (1607 – bef. 1682) was Alex’s 10th Great Grandfather; 1 of 2,048 in this generation of the Miner line. 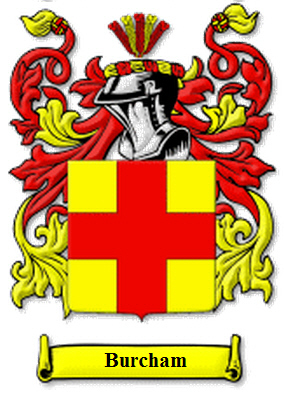 Edward Burcham was christened on 3 Jan 1607 in Markby, Lincolnshire, England. Markby Markby is 123 miles north of London and 29 miles west of Lincoln. 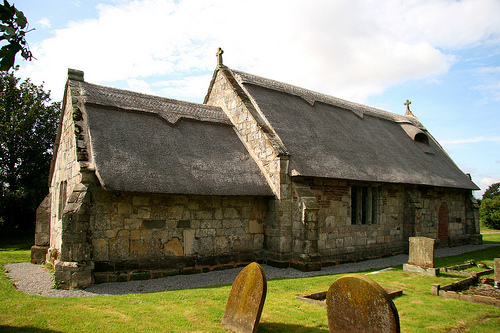 The church of St Peter’s is the only remaining thatched church in Lincolnshire. Edward married Katherine MASON on 15 Sep 1631 at Saleby, Louth, Lincolnshire, England. He emigrated to Lynn, Mass in 1636 and was made freeman on 14 Mar 1638/39. He returned to England in 1656 and it is not know whether he came back. Katherine Mason was born 19 Dec 1602 in Saleby, Louth, Lincolnshire, England. Katherine died in 1690 in Lynn, Mass. Edward was settled at Lynn, MA by 1636 with Lynn being just east of Boston, MA. In the 1636 Lynn land division, Edward Burcham received 30 acres + 10 acres in in what became the Reading area. Edward Burcham was Clerk of Wrtis 1645-1655 which meant he was “to record deaths, births, marriages for ye Towne” of Lynn. At the 18 June 1645 General Court Edward burcham was one of three “to end smale causes for ye towne of Lynne” and this renewed 20 May 1648 and this appointment noted a 20s payment. Edward Burcham wrote many wills and probated wills and did estate inventories also. Edward Burcham is believed to have returned to England in 1656 and nothing more is recorded of him in America. The 15 October 1684 settling of a petition filed by William Hawkins and his wife Anna Burcham Hawkins to claim land that Lynn had granted to her recently deceased father Edward Burcham in 1638 in an area of Lynn called Reading was granted. If Edward Burcham had daughters Anna and Frances, Anna would be his only living child in 1684 as Frances had died in 1673. This entry was posted in 12th Generation, Historical Church, Immigrant - England, Line - Miner, Public Office and tagged Lynn, Returned to England. Bookmark the permalink.